Last night an incident occurred in which a community member tragically lost his life. Whilst returning home at approximately 21:05, the victim and his wife were blocked off by a suspect motor vehicle on Farm Street. Three suspects exited their vehicle, possibly a dark grey Audi, leaving the driver inside, and made contact with both of the victims. One of the suspects, who was positioned at the driver’s side door fired a shot towards the victim, hitting him in the chest. The wounded victim attempted to flee on foot, however was stopped by one of the suspects who proceeded to force the victim into the victim motor vehicle. The suspects fled the scene in the victim motor vehicle, with the two victims inside. A while later, at an unknown location in Midrand, the suspects were met by another suspect motor vehicle, possibly a red Toyota Hilux with three suspects inside. The suspects proceeded to drop the victims at this location before fleeing. Regrettably, the victim that was shot succumbed to his wounds. The hijacked vehicle was recovered this morning in Midrand. CAP are currently obtaining footage and allocating the necessary resources to be able to provide the SAPS with information that will aid in the investigation. 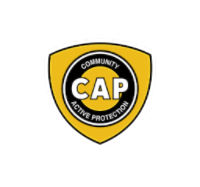 In addition, CAP are offering a R50 000 reward for information that leads to the arrest and successful conviction of these criminals. We urge anyone who can provide information to call us on 0861 227 227, we will treat all information with the utmost confidentiality. We wish the victim’s family, friends and the Bryanston Riverclub Community strength during this difficult time. What happened to the wife?